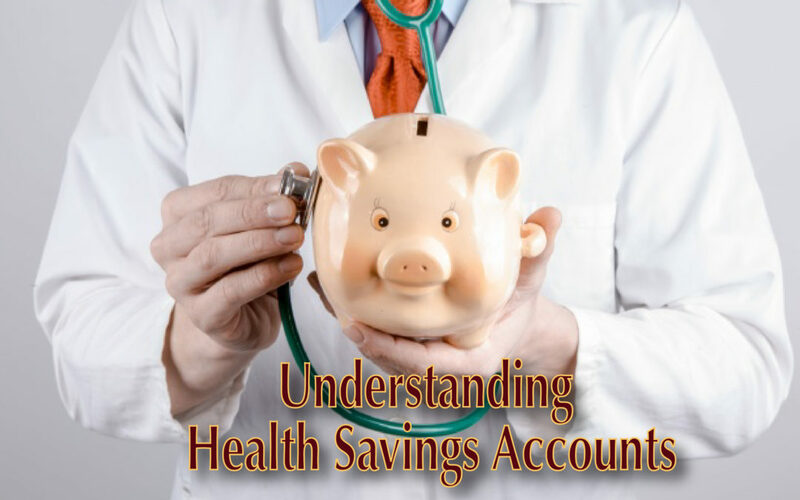 Understanding Health Savings Accounts | Mason Financial Services, Inc. There has been a lot of discussion lately about how to solve the crisis of rising health insurance and the growing number of uninsured. I don’t know about you, but none of the solutions sound very good to me. At best, universal healthcare seems to be marginally effective at best where it’s been implemented. Having people without health care in a society as affluent as ours is distasteful. The taxpayers footing the bill for those who can’t or won’t have health insurance is aggravating. Are there any good solutions? I think there is – but nobody is talking about it. The answer is to put the consumer back in the driver’s seat. Capitalism and the competition that results is the best economic system in the world. As consumers, we control what is produced and at what price by the way we choose to spend our money. That system of checks and balances has been surgically removed from the medical system. The result is out of control costs, unnecessary procedures, amazingly expensive drugs coming on the market almost daily, and the resulting increasing insurance costs. Health Savings Accounts combine much less expensive High Deductible Health Policy (HDHP) with a Health Savings Account (HSA). The basic idea is that your health expenditures will be similar to having a co-pay HMO, but instead of 100% of your money going to the insurance company, about half of it goes to your HSA. This money is used to pay for most of your medical costs with the insurance kicking in for the big expenses. Hopefully, you generally stay healthy and keep your health costs down. If so, you’re rewarded with having a growing balance in your HSA that someday becomes another source of retirement funds. Benefits to individuals include having most health costs covered by the HSA and insurance, 100% of medical costs become deductible. All of the money that goes into the HSA is deductible, invested funds grow tax-free (or tax-deferred) and distributions are tax free when used for medical purposes. Many people believe that medical expenses are deductible. They were once. Some time ago, they were severely limited. The first 7 ½% of your income gets deducted from any medical costs to determine what portion is deductible. For most people, this means that no expenses are deductible. By running your medical costs through an HSA, all expenses become effectively deductible. This benefit alone should be enough to convince many people to consider using an HSA. Converting or starting an HSA is easier than you would think. If you already have health coverage, call your carrier and ask for quotes for their HSA approved plans – most insurers have two or three. If you don’t have insurance presently, shop around for quotes from reputable insurance companies. Alternatively, you can go to any of the several good websites for quick quotes from a broad range of companies. The Affordable Care Act did make some changes to Health Savings Accounts. Premature distributions that are not spent on qualified medical costs now carry a higher penalty and over-the-counter medicines do not qualify unless prescribed by a doctor. For the most part, the Act left Health Savings Accounts intact. HSAs have the potential of radically changing the face of health care while at the same time providing individuals and families with amazing savings – both in health costs and taxes. You might be wondering “Why have I never heard of this before?” I’m not sure, but my theory is money. Insurers make money from premiums. Agents and brokers make money from premiums. If you’re putting half of your dollars in your own account, everybody makes less. So stop making everybody else rich and start keeping more of your health dollars in your bank account. Different tax situations require different solutions. As always, check with your tax and insurance professionals and to learn about the benefits and limitations of high deductible health plans and Health Savings Accounts for your particular situation. What is the Best Age to Start Drawing Social Security?